You are currently browsing the category archive for the ‘multiplanet species’ category. Utilizing the 3×3 Global Drills process, any six people or less in any organization(s) can amend the working outline below. It offers a simple but comprehensive structure for how all humans, working together, even in indirect ways can create synergies of effort over 40 years to migrate inland a majority of each vulnerable coastal urban population center on Earth. National (USA) Oceanic and Atmospheric Administration (NOAA) monitoring of oceans. NASA/Industry plan and launch space-based solar power satellites to power globally distributed infrastructure. Ongoing satellite monitoring of weather patterns by Chinese National Space Administration (CNSA) and Japanese Aerospace and Exploration Agency (JAXA). Learn from Cuban public health and literacy programs. Prolonged and steady evacuation can sustain Brazil, Argentina and Mexico as new global economic engines. Replicate academic structure of “ancient” European universities and Plato’s Academy globally while preserving local customs and values. Learn from Arab women on family management. Necessary vaccines. New schools and universities inland. Build new small resilient cities in “Tornado Alley,” Amazon Basin and Patagonia. All African coastal urban centers are of concern. Copenhagen, Hamburg and French Riviera are of strong concern. Lessons of December 26, 2004 Asian tsunami: Listen to indigenous populations. U.S. Navy seawater desalinators can be force for good across Asia-Pacific. More in the way of personal narrative as to how and why I created the 3×3 Global Drills process from 2005-2012 is forthcoming via my YouTube and Vimeo channels in addition to occasional written pieces here on my blogroll. 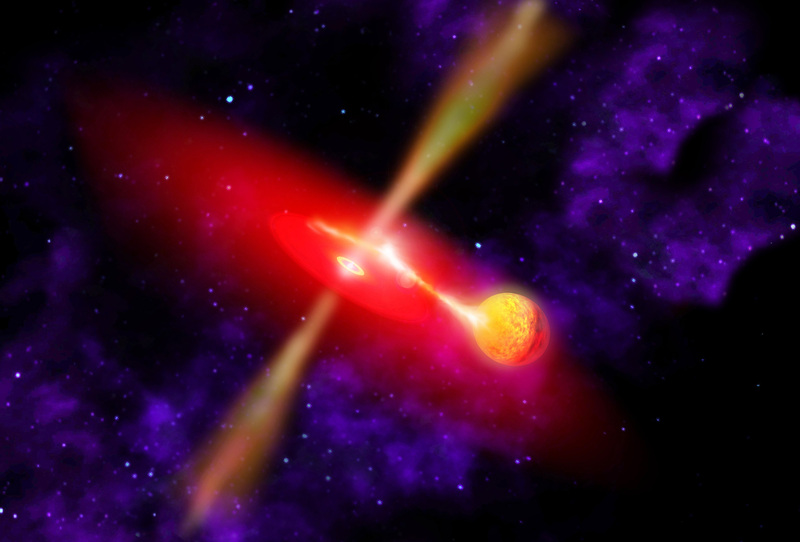 Artist’s conception of an orbiting donor star collapsing into a middleweight black hole from which gamma-ray bursts of radiation jet out in opposite directions. Image credit: NASA Goddard Space Flight Center. https://www.nasa.gov/topics/universe/features/middle_blackhole.html. Retrieved June 4, 2018. As we fight each other for territory across Earth and artificially created scarcity-based money, gamma-ray bursts (GRBs) of potentially planet surface-life ending radiation occur at random moments by imploding stars outside and possibly within our galaxy. Current and near-future human generations on Earth and eventually across the solar system may not be able to deflect this natural lethal mega-force in space. Underwater and subterranean habitats offer interim protection from GRBs. As beautiful and nurturing as Earth can be in the Cinderella zone of our sun, if the human family stays confined to just one solar system, we could be eliminated. The following outline is based on nine confluences of the six 3×3 Global Drills perspectives – 1) Cosmic, 2) Individual/Societal, 3) Environmental (disciplinary perspectives) with 1) Asia-Pacific, 2) Americas and 3) Africa-Europe (geographical perspectives), forming a tight global human synergy against this and other existential threats: 3x3globaldrills.com. NASA/Industry/Academia launches more GRB detection satellites to follow NASA’s 2008 Gamma-ray Large Area Space Telescope (GLAST)/Fermi Gamma-ray Space Telescope (renamed), the 2004 Swift and the 2000 High Energy Transient Explorer (HETE 2) satellites. See also the Laser Interferometer Gravitational-Wave Observatory (Ligo Scientific Collaboration) between Caltech and MIT. European Space Agency (ESA) Russian-derived launch infrastructure (Arianespace) launches more GRB detection satellites to follow Italy’s 2007 Astrorivelatore Gamma a Immagini Legger (AGILE) and ESA’s 2002 International Gamma-Ray Astrophysics Laboratory Announcements (INTEGRAL) and XMM-Newton satellites. Chinese National Space Administration (CNSA) and Japanese Aerospace and Exploration Agency (JAXA) collaborate in developing new GRB detection satellites as other elements of national governments and multinational corporations in this region prepare individualized and communal habitats near population centers underground and underwater off the coasts. Geert Hofstede’s World Map of Individualism [Dimension] is consulted to decide where to construct individualized and communal habitats near population centers underground and underwater off the coasts. Same as above in regard to Hofstede. Same as Individual and Societal – Americas above in regard to Hofstede. Plus, U.S. Navy in collaboration with all navies of the Americas researches, develops and constructs large-scale floating platforms with underwater compartments to comfortably accommodate large populations further off the coasts. Same as Individual and Societal – Africa-Europe above. Plus, U.S. Navy in collaboration with all navies of Africa-Europe repeat and modify above approach to floating platforms as appropriate. Same as Individual and Societal – Asia-Pacific above. Plus, U.S. Navy in collaboration with all navies of the Asia-Pacific repeat and modify above approach to floating platforms as appropriate.